An unusually long stretch without potholes. 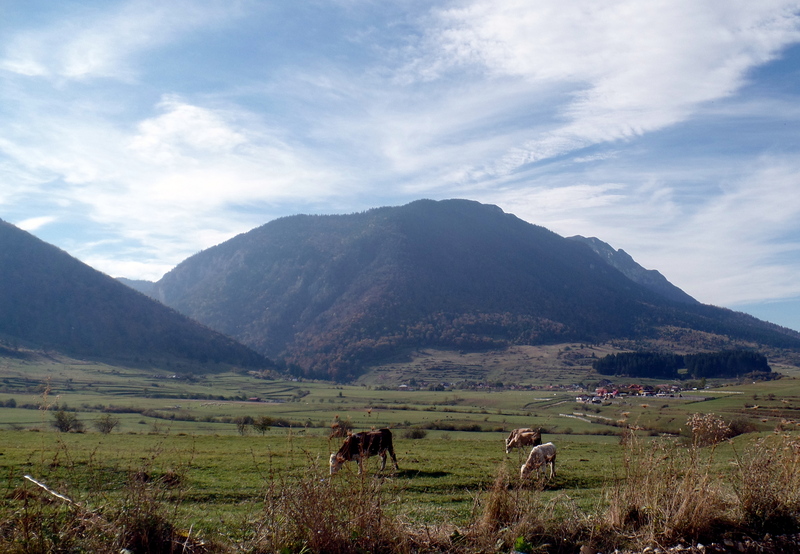 Erika and I opted to avoid the highways as we headed out of Bucharest and, instead take a leisurely drive through Transylvania toward the smaller towns of Brașov (brash-ov) , a Saxon settlement, and Sighișoara (sig-i-shor-a), birthplace of Vlad the Impaler. Looking at the map, highways would certainly have been the faster route, but we wanted to see more of Romania than can be seen from a busy road. When I say highways, however, one should try to avoid the four lane, North American variety that may come to mind. 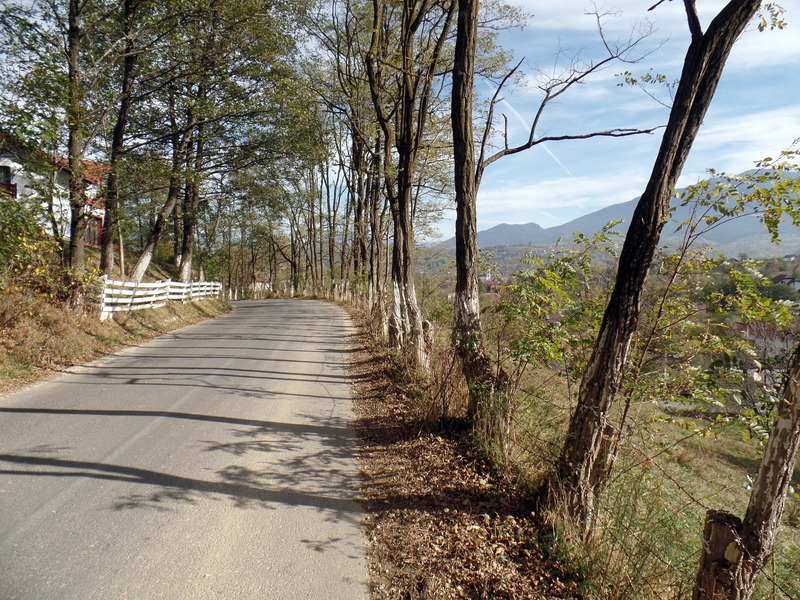 Highways in Romania, even in huge cities like Bucharest, are circuitous, meandering, unpredictable paths that, apparently, drivers are expected to have memorized or will suffer the cacophonous sounds of incessant honking and impatient passing. The thought of a less stressful drive sounded enticing. 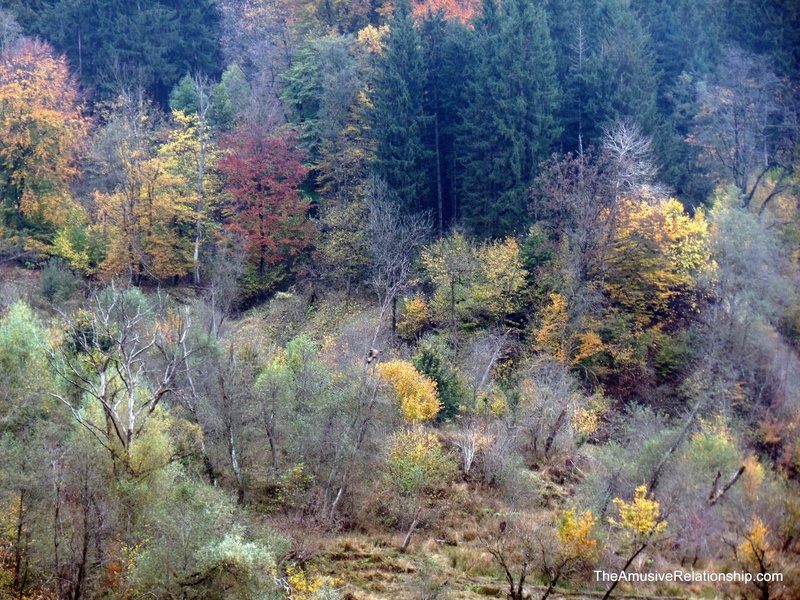 Vermont has nothing on Transylvania’s fall colors. As one would expect, country roads are much different, but one would be mistaken to assume that this just meant smaller and less traveled. There were miles and miles of “highway” 104D that were simply single lane, gravel paths and others that were just endless series of huge potholes. Some were so large, we joked they were the entrance to Hell. Steering around them and trying not to suffer the jarring impact of a misstep, I felt like a rally driver. 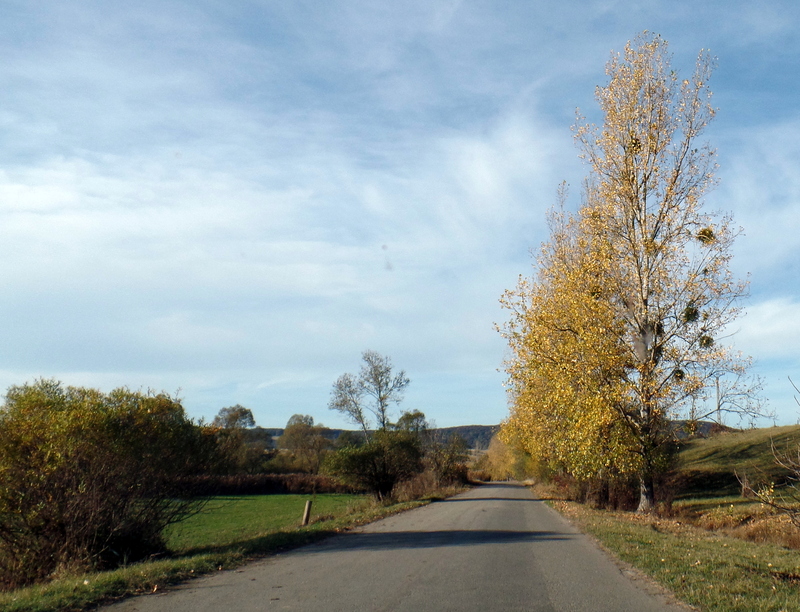 Periodically, in the middle of nowhere as we looked worriedly at each other and asked what we were thinking trying to drive through the Romanian countryside, a small, idyllic village would pop up and push aside our doubts. At times, we were driving through lush valleys with wandering livestock, at others through rolling sheep-filled hills complete with mindful shepherds biding the time, and still others through dark, deep, foreboding forests thickened with mist. In the end, it was tense at times, but lovely throughout. To see more photos, click the “Load more” link at the bottom.